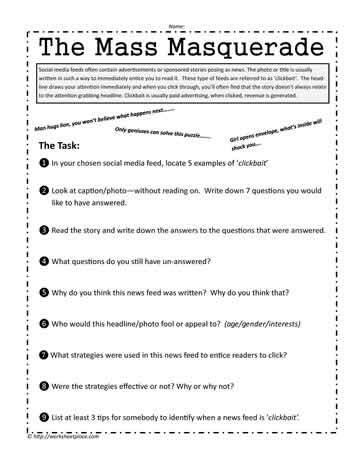 Fake news lesson ideas and worksheets for the middle school. It's important to make sure students do not believe everything they read and to become critical thinkers. Do you think it would be easy to stop fake news? Why or why not? Why do you think people believe the Fake New stories? Write 5-7 tips on how to spot Fake News and determine the authenticity of news.